I keep leaving Tunis – work trips, trips to see family, fun trips… Yesterday I left at noon-ish, arriving eighteen hours later in Atlanta. 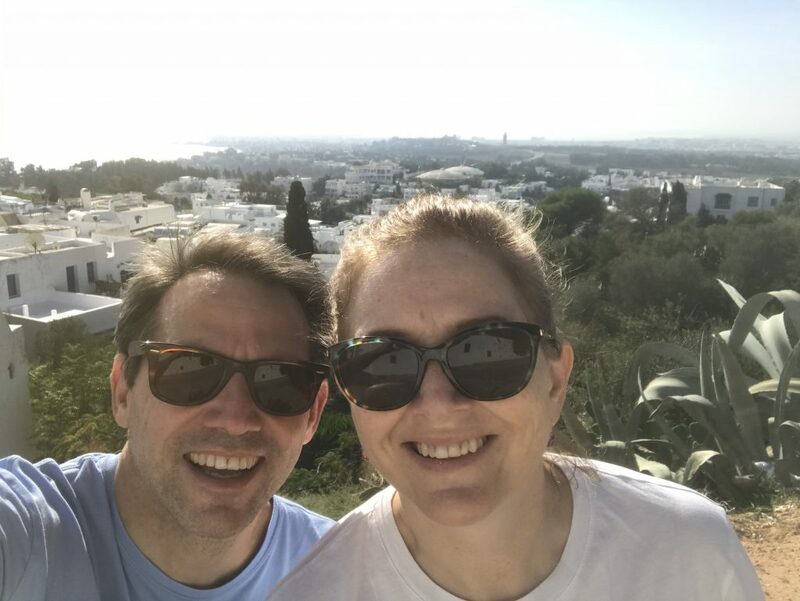 I’m excited to check out Atlanta, and see the Coca Coca World gift shop, but after a wee side trip to see Dad and Ethelyn, I’ll once again return… to Tunis. It’s beginning to feel like home, a home-away-from-home. That’s actually odd, since it’s also getting to be the hottest season of the year (which has never been my best milieu). The heat has become distinctly, uh, noticeable. Sometimes it feels like the sun is piercing my head like a lance. I’ve taken to wearing a hat just to go to the market, which makes me look a little old-lady-ish but I don’t care. Oddly, though, no matter what time I’ve looked out that window, I find someone in view, walking along the water’s edge or sitting with arms wrapped round knees facing out at the watery oblivion. As if the sea is so desperate for attention, so co-dependent, that it draws us with a gravitational pull like the one causing those waves. Now that summer has arrived the beach is much more populated. Mostly men, with some kids and a sparse few women – some completely covered! – sitting under perfectly aligned palapa parasols. During Ramadan at the close of the day we saw families rushing out to set up tables and chairs to break their fasts on the sand. Tupperware, enormous bottles of water, even a tagine. The muezzin sounds, the evening prayer begins, and then the eating, the glorious eating. What sounds pristine and peaceful and lovely was, just a few minutes prior, harrowing insanity. To get to someplace nice to pray and eat, just before nightfall each Ramadan evening, the drivers turn into rattletrap Andrettis. I give them dirty stares as they careen along tiny dead-end streets, only to screech to a stop at the edge of the beach, spraying sand as if in a cartoon. They’re hungry, they’re exhausted, yes: but they can’t be saving any real time when these roads lead – within less than 100 yards! – to the water. Tunisia has made it into the World Cup this year. At the airport I saw fans streaming red flags like capes disembarking from humongous vans and teeny taxis. 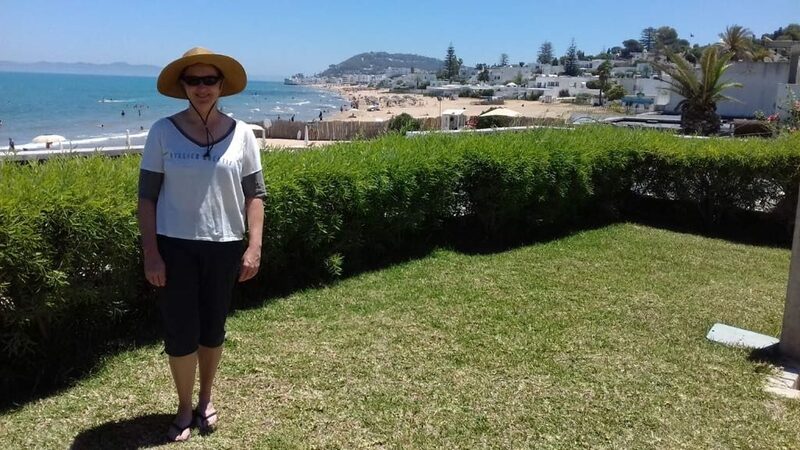 Notice the fez – or chechia as it’s called in the medina – and the “Tunis” in Cyrillic. These guys planned this thing out! The hallways of the terminal were as full as always of pilgrims in long tunics, but this time veins of red-dressed football fans threaded through, whistling and singing, on their way to Moscow and then Volgograd for the first match. Against England. That’s pretty daunting – but if fandom and raw unbridled enthusiasm count for anything, they have more than half a chance. 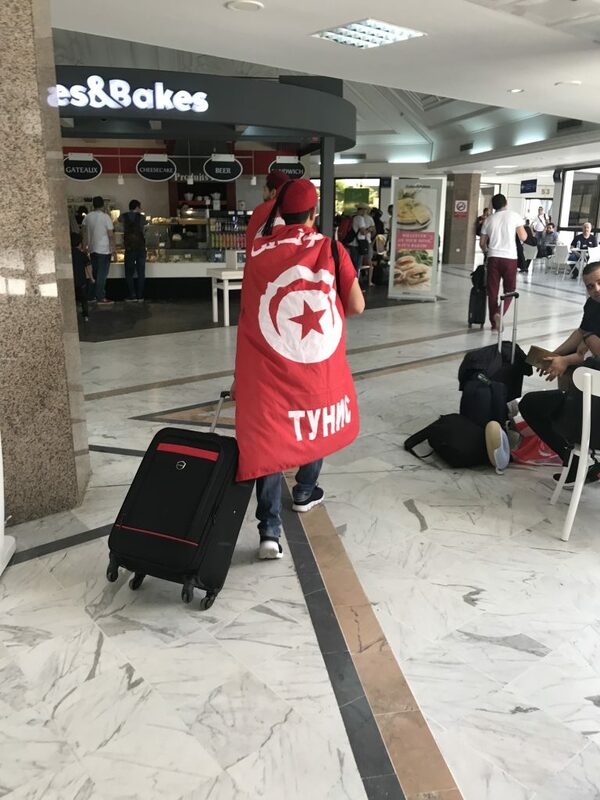 Allez Tunisie!!! 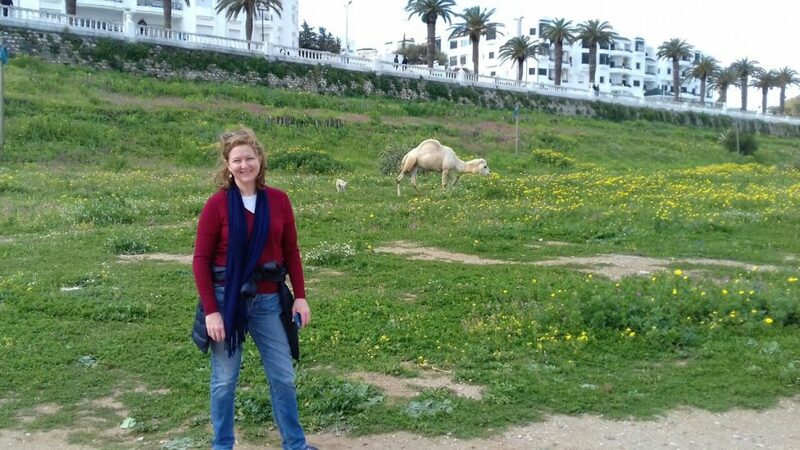 I was reticent about Tunisia before I first visited, last June, in part because I knew so blessed little about it. All I’ve learned in the past several months is still a drop in the ocean, but it’s enough to make me feel affection for this little country, North Africa’s talon reaching up into the Med, with its fantastic Ben Yedder coffee, its open arms to tourists, its blue paint on white walls in Sidi Bou Said, (all the strange things Autocorrect wants to do with “Sidi Bou Said”), our neighborhood full of cats lazing unafraid in the sun or shadows (depending on the season). 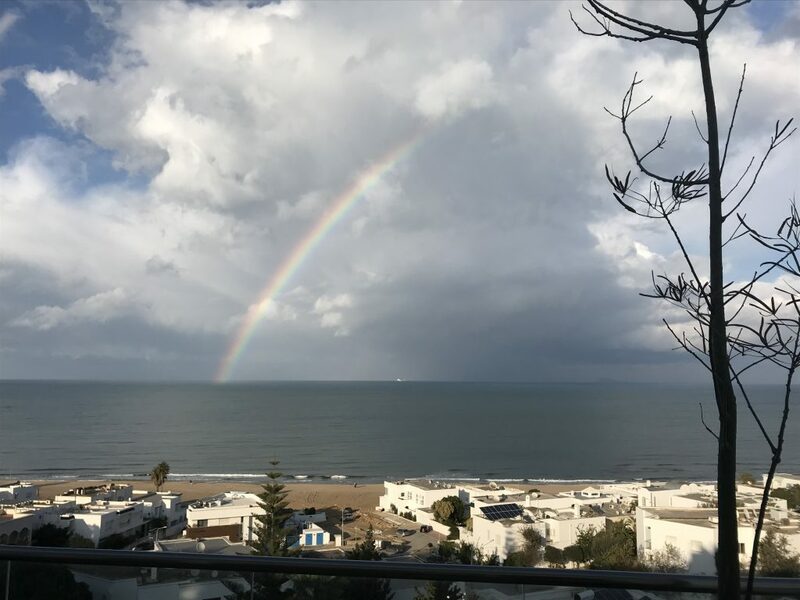 The rainbow of faiths being expressed – and the permeating feeling of tolerance. The French influences of pride and taste; the Italian influences amazing fresh-made pasta; the smelly daily market with veggies so brilliant they’re liable to burst. The medina that begs slyly to be the scene of my next written intrigue. 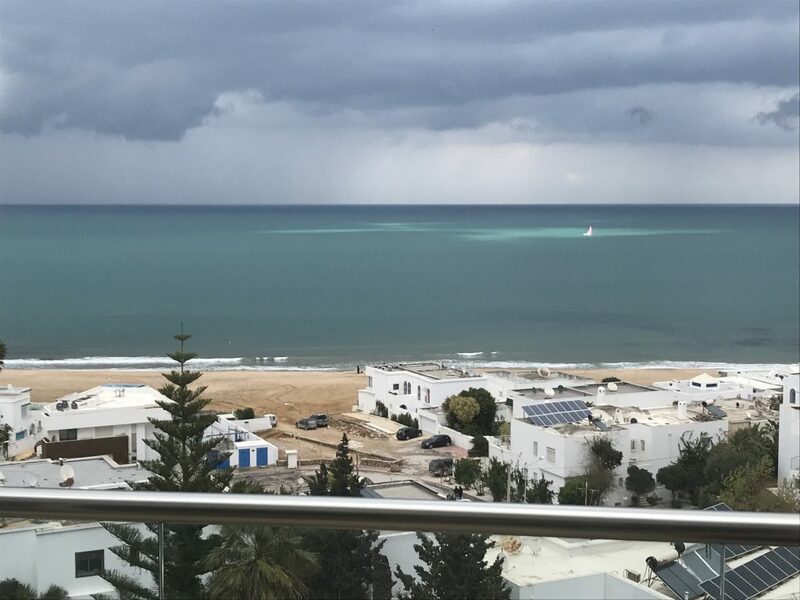 The way other Arabic-speakers shake their heads and say the Tunisian dialect is an island unto itself; and then the way they still invoke its perky nickname “green Tunisia” with the sweet tone of a loving parent. 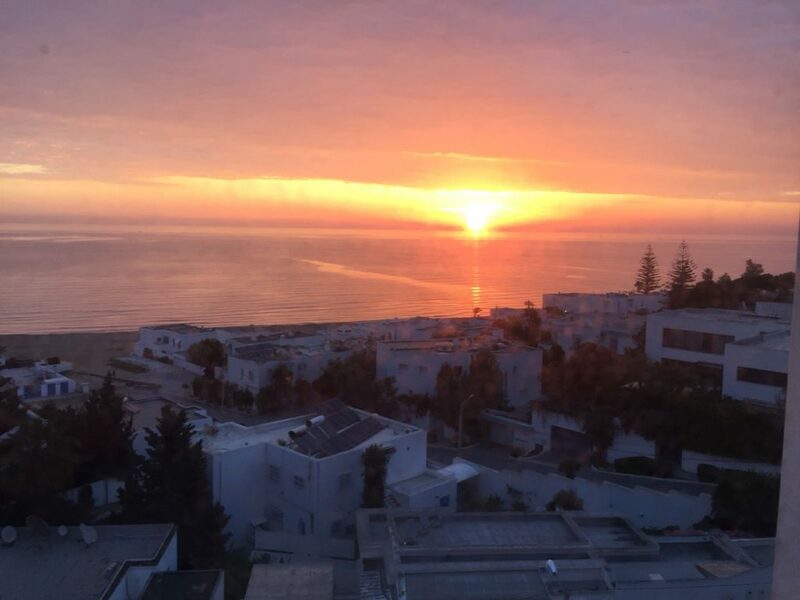 Haggling in French; walking in the surf with Ramon; playing “tres puntos” tennis in the shade of an evening; cooking homemade Pomodoro with fresh raviolis; falling asleep with the window open to the sound of the surf 100 yards below. 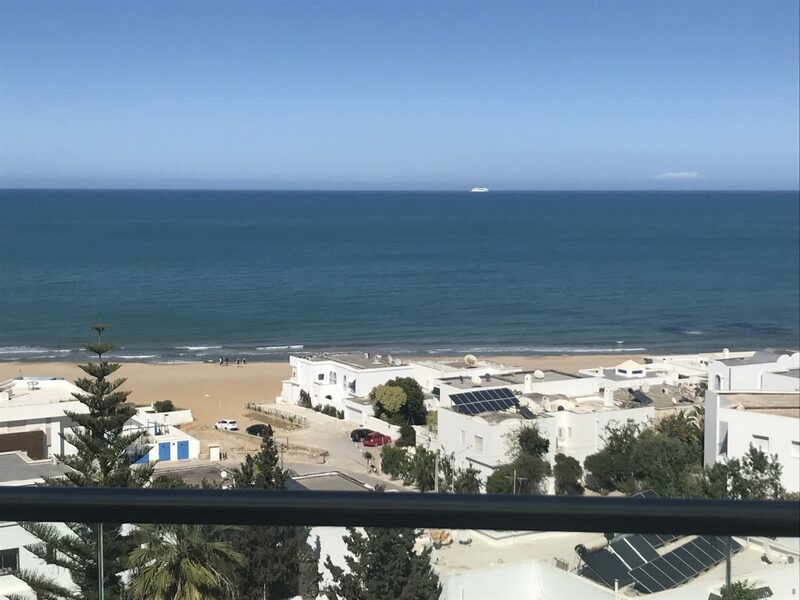 Can’t wait to return to Tunis. Where Ramon is, is home.